While research shows that the average human can technically survive moderately prolonged temperatures from as cold as 30ºF degrees all the way up the extreme heat of 140ºF, public advisory studies have revealed that the optimum range for human life falls between 68ºF to 70ºF. As climate control specialists that pride themselves on knowing these types of details, we appreciate that it is our job and challenge to keep the world in that comfortable window of 2 degrees. At our company, we value the many great relationships we have built all over central east Florida, and know what a privilege it is to serve you all! Our professional, personal, and highly skilled work is not only a result of our many years of experience and dedication, but also a tell of our passion for this industry and what it means to create comfortable and safe environments for all homes and offices and everything in between. We don't take it lightly and understand the great role that climate can play in comfort, productivity, and wellbeing, as well as the many health concerns that can be avoided with properly maintained and cleaned equipment. 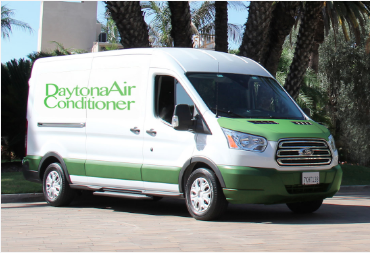 At Daytona Air Conditioner we can work with you along any stage of your needs whether it be through an annual or more frequently scheduled tune up and cleaning, immediate emergency repair, new replacement installations, or perhaps even designing and building custom systems from the ground up. 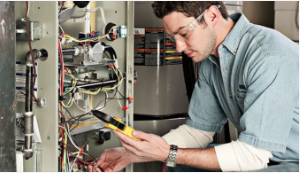 Some of our many other skills that may be of interest to you include, air balancing and purification, refrigeration, retrofits and sheet metal fabrication, efficiency analysis and solutions, or smart home thermostat products for all of your HVAC service needs. We would be glad to help with our very responsive air conditioning repair services and AC troubleshooting in times during unexpected breakdowns, or share extensive knowledge with you on upgrades, helping you to make the best, most efficient and cost effective choice before moving forward with any particular air conditioning unit. Furthermore when it comes to heating, you can fully rely on our fantastic technicians as they are well versed in furnace installation, replacement, and repair of all modern heating systems from central forced air to even less common solutions like geothermal. It is our constant goal to be a friendly consultant to all of our customers, one that does not pressure anyone to make quick decisions, but instead supplies all the needed information and options to make wise ones, as well as through offering great flexible financing packages to ensure the well being of your business or family. Give us a call today if you have any interest or issues with anything pertaining to the comfort and quality of your space's air, and you will quickly see why we are considered one of the best heating and cooling companies in Daytona and the surrounding area including Port Orange, New Smyrna, and Ormond Beach! Having to live or work in temperatures that are not optimum can not only effect a person's health on a long term scale, it also has many other often overlooked effects like influencing one's mood or productivity, with the most balanced and efficient temperature falling at 71.6ºF, according to the Berkeley National Laboratory. Both may be slight effects temporarily, but over the course of time they can have a major impact on the outcome of any person or business. 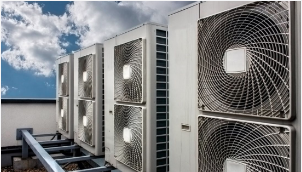 Companies responsible for many employees or temperature dependent products may particularly find our commercial HVAC repair and construction services helpful. We are well versed on projects of all scales and can custom fabricate anything to fit older buildings or meet the needs of newly constructed floor plans. Many businesses also choose the option to sign up for regularly scheduled general maintenance and air duct cleaning at custom intervals, usually ranging from one to three times a year. 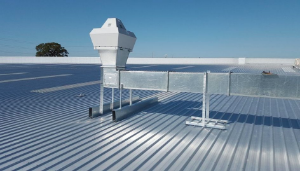 This not only greatly helps to maintain the safety standards for air quality but can also create massive financial savings by avoiding larger malfunctions which could lead to more costly solutions including complete replacement. If you wish to subscribe to a regular check up we will be sure and inspect every vital aspect of each particular system, most often including blower components, condensers and coils, gas pressure, refrigerant charge, and lubrication of all moving parts just to name a few. For all services we operate with an extremely comprehensive checklist; this, coupled with our experience working on every type of system and a staff of highly trained technicians with an intimate knowledge of all components, is assurance that your job will be done to the best possibly quality. At Daytona Air Conditioner, we also strongly believe that amazing comprehensive ac repair and installation does not need to mean astronomical prices. We work hard to establish great mutual relationships with our customers and offer our services at rates that won't leave you feeling gouged. We know that by providing our help at realistic manageable costs we can build trust with the community and be a confidant choice for providing excellent work and ensuring your total comfort for many years to come. Feel free to contact us today if you would like to hear more in depth detail on our finance programs, general prices, or to discuss your specific situation and receive a detailed product, maintenance, or repair estimate. We are yet to see an issue or need that we have not been able to solve, so give us a call and find out what we can do to help you with your next project. 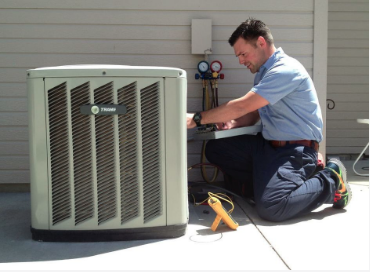 It is our guarantee to leave you with the complete satisfaction and confidence in our work, as well as the perfectly operating heating and air conditioning equipment to prove it every day. 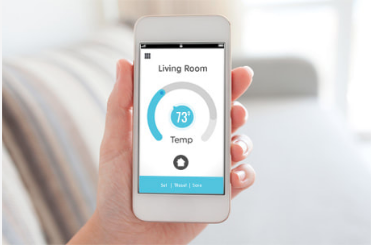 It is truly amazing the innovation achieved every day, happening all around and allowing us to live and work in more efficient and effective ways, and the HVAC industry is no exception to this! The modern advancements and technologies that have been made in heating and air conditioning systems in the last half decade alone have allowed for incredible amounts of cost savings and easier accessibility to amenities that were often times previously viewed as luxury. With todays units you can maintain a perfect level of comfort in all areas of your life and do it without disrupting your bank account. At Daytona Air Conditioner we would be happy to help you explore the many possibilities of system upgrades that are on the market today, and know you will find that the saving gained through operating an up to date model will not only pay itself off rather quickly, but save a healthy portion of your previous expenses every single month. Not to mentioned the great benefit of having the peace of mind that you are providing your family or workplace a completely safe environment that is free of contaminants while utilizing the latest methods of air purification and toxic substance monitoring. Some of the many other excellent features that can be integrated into your indoor air conditioning include dehumidification, an evaporator, or a variety of unique filters specially designed for possible medical and allergenic needs, many of which are compatible with all types of central air, heat pumps, ductless air conditioning and various other formats. While considering HVAC upgrades can be a great way to alleviate high bills and a reoccurring repair cost, we know that given a variety of home or personal situations it may not be always feasible, and perhaps all that you really want when you discover your AC suddenly broke, is a quick unit fix at low expense rates. Understanding these scenarios has been part of our developing an extremely talented group of mobile furnace and air conditioner repair men and women, with an ever-growing network of reliable contractors who can arrive at your home in a moments notice and fix all of your AC problems with state of the art tools. These teams are also available to swing by at any time to perform all types of general HVAC maintenance in the case that you recognize unusual occurrences in your system, which can be an excellent way to nip issues in the bud and avoid being stuck in the heat or cold as well as to avoid complete failure. Along side our responsive repairs, our company offers a large variety of specialized parts and equipment that can supply you a solution for even the most atypical problems or set ups. From the basic needs of a fan or condenser to more specialized parts found within mini coolers, and window units, you can trust that we have you covered. We work hard to validate our spot at the top as one of the premier air conditioning repair, design, and installation companies near Daytona Beach, and surrounding area. Not only do we strive to be the easy choice by continually showcasing a great skill set and work ethic, we also want to make it a easy decision financially, which is why we offer many discounts and promotions. Don't hesitate to reach out and give us a call today, as we would be glad to share with you our offers and show you all of the available options to ensure you are getting what you need at the most cost friendly price in all of Florida!